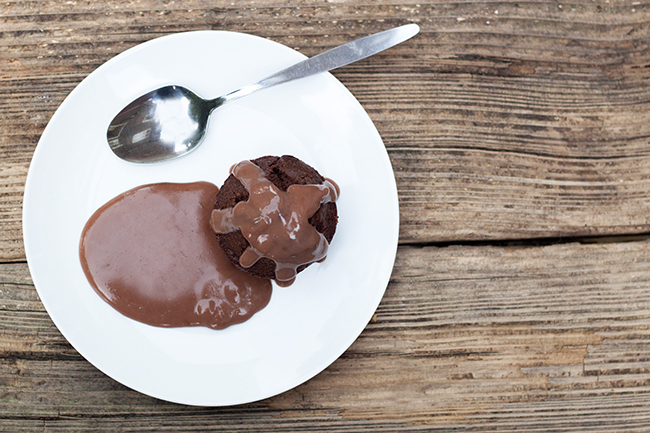 This homemade chocolate pudding and chocolate custard recipe may be really simple but it brings back so many memories for me. I can understand now why my mum would have made it for me so many times. I got this recipe from my mum and I love it. It’s cheap to make, quick and most of the time you will have the ingredients already in the house so no need to go to the shop! 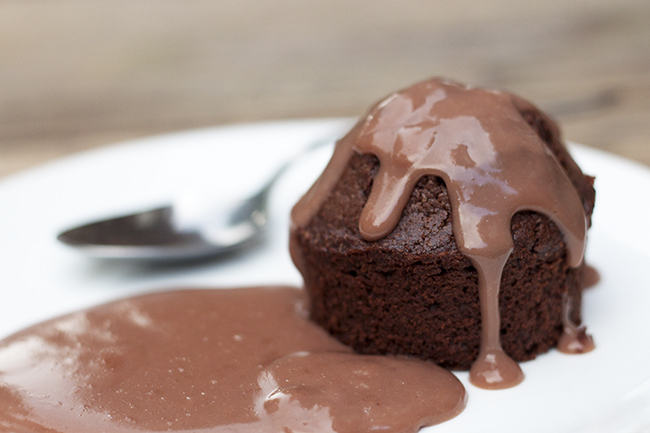 What are your childhood pudding memories? I would love to know, feel free to comment at the end of this post! Preheat the oven to 180C and grease either a cake tin, or Pyrex bowl or individual ramekins (I used ramekins for this post but usually tip all the mixture into a Pyrex bowl and let people help themselves to as much or as little cake as they want). Mix together the cocoa powder and water until it forms a paste. Mix the butter into the paste. Add the sugar, a little flour and one egg. Mix well. Add the second egg and a little flour and mix. Finally add the rest of the flour and mix well. Once baked leave to cool. To start the custard mix in a jug the cornflour with the cocoa powder and the extra milk until it makes a gloopy texture. Boil up the rest of the milk in pan. Once it is boiling pour it in to your jug and stir everything together. Once mixed pour it back into the pan and simmer until thickened. Add the sugar to taste.And there you have it, a gorgeously simple heart warming pudding! Easy to save for later and can be re-heated when you are ready to eat! This was so simple and the kids loved it. Fab, thanks for the feedback! I remember a gorgeous tart-like dessert with custard which i think was made with pineapple pieces / mandarins or both on a pastry base?! Any idea what it was and would love to know the recipe?!!!! Sounds delicious but I am not to sure, maybe it was a pineapple upside down cake?! No it wasnt an Upside Down Cake. It was made with either pineapple or mandarin chopped up pieces about 1.5cm thick on top of a pastry base. It was delicious as i always remember it! I`ll make your Chocolate pudding and drown myself! Its been bugging me for years! Thanks for replying!